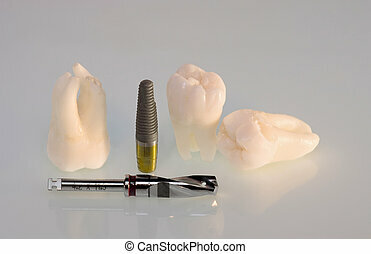 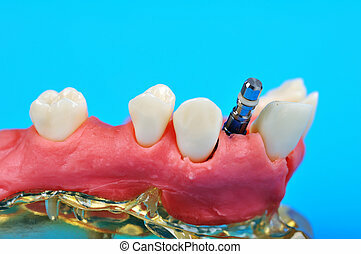 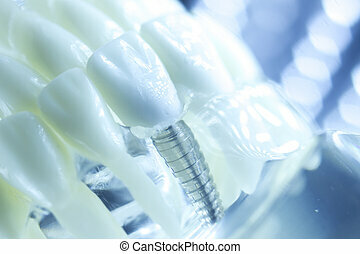 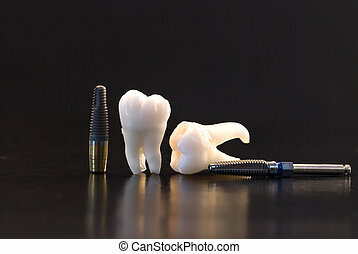 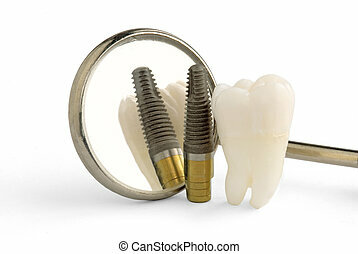 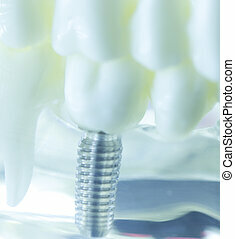 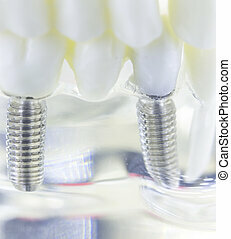 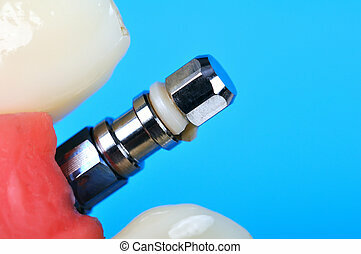 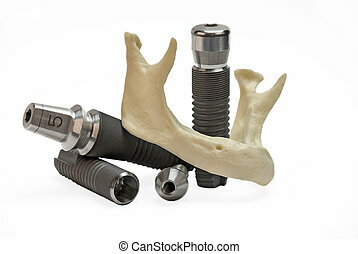 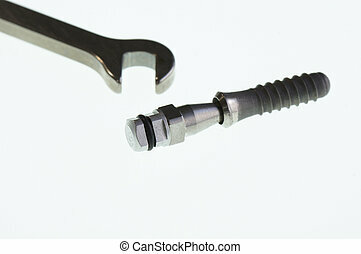 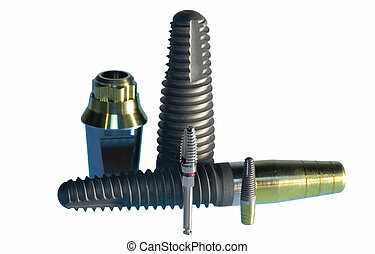 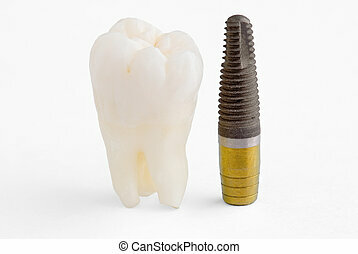 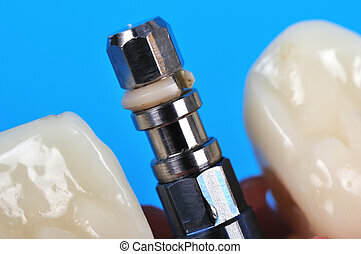 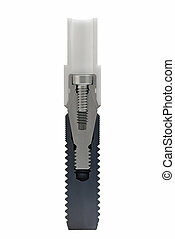 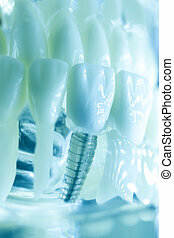 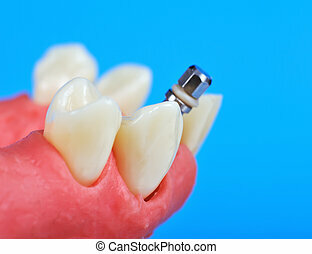 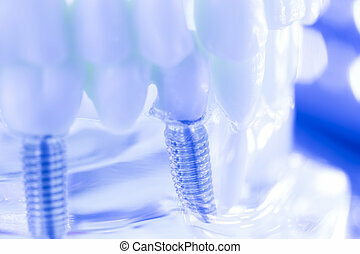 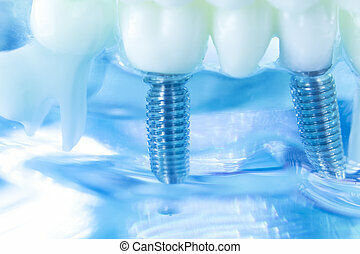 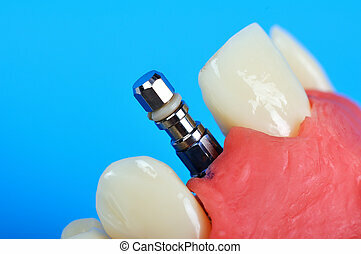 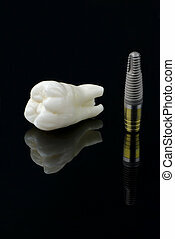 Dental titanium implant. 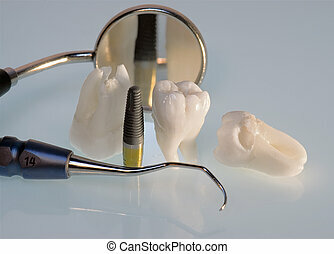 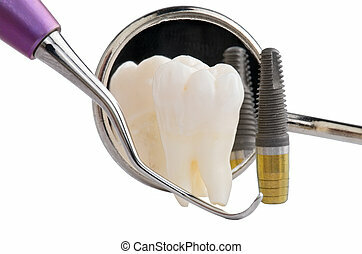 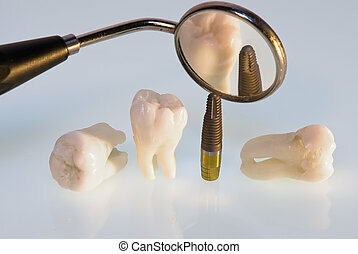 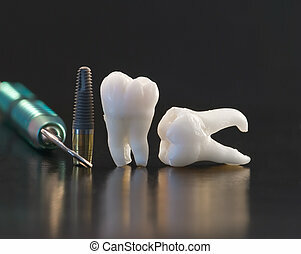 Real human wisdom teeth, titanium implant and dental instruments. 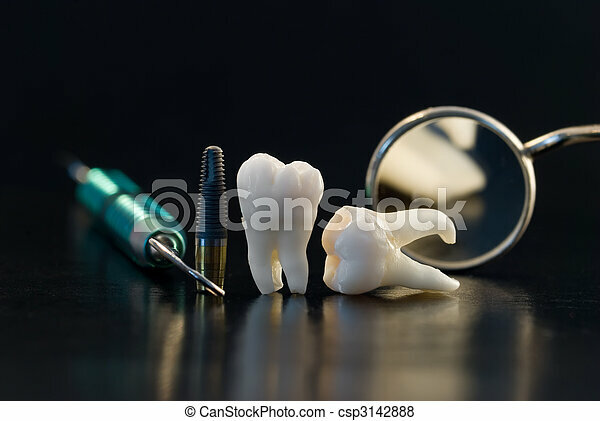 Dental tooth dentistry student learning teaching model showing titanium metal implant screw teeth, roots, gums, gum disease, tooth decay and plaque. 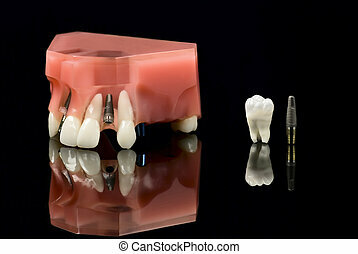 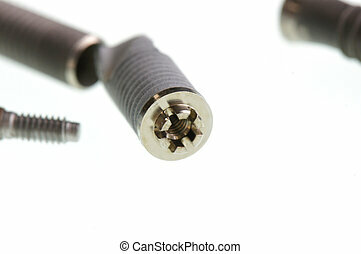 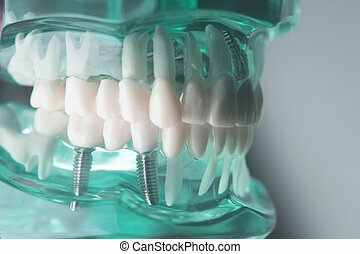 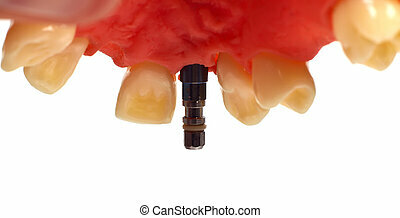 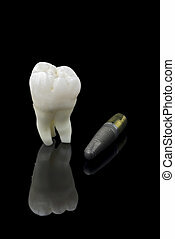 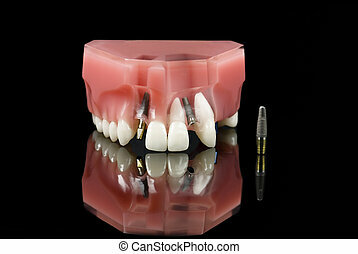 Dental titanium aesthetic orthodontic tooth implant in dentists mouth teeth model closeup isolated.